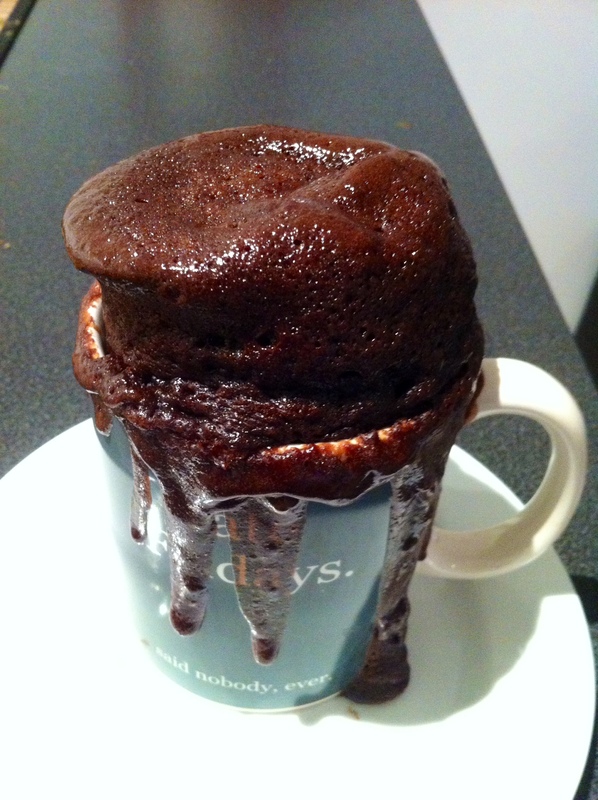 For those who don’t have an oven in their place or if you just hate using the oven, have no fear.. mug cakes are here! 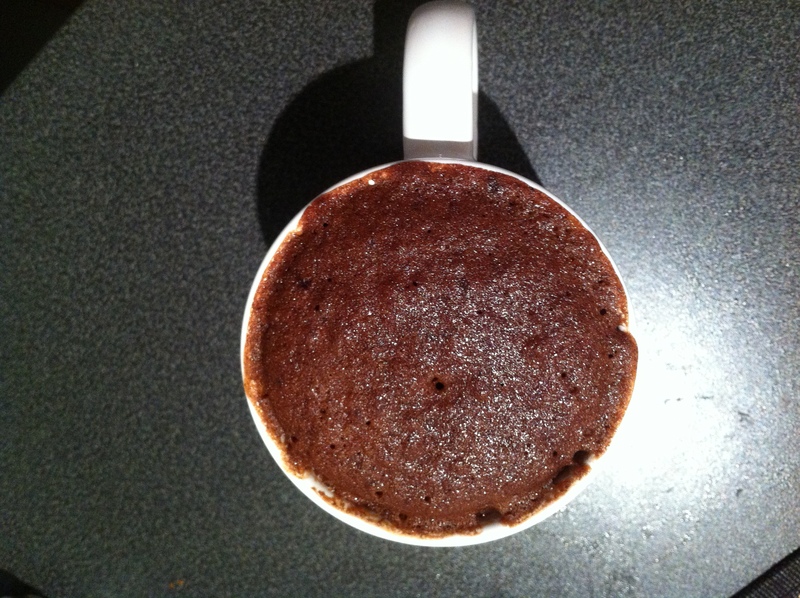 Now let me tell you, making a mug cake is as easy as brushing your teeth. All you have to do is either buy cake mix (which is what I did) or make the cake mix from scratch. Follow the steps on the box and then make sure you whisk all the ingredients together so that there are no lumps in your cake mix. 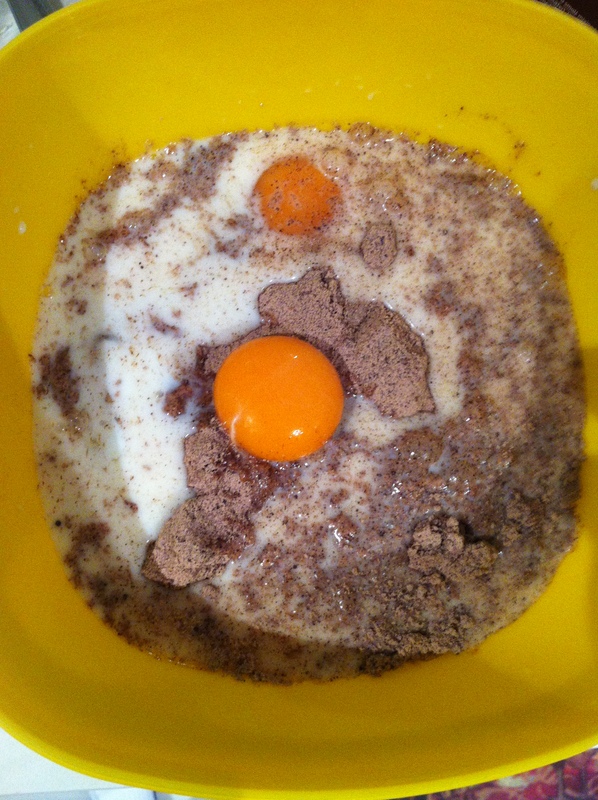 Once you have done that get out a large mug and pour about 1/2 of the mix into the cup. 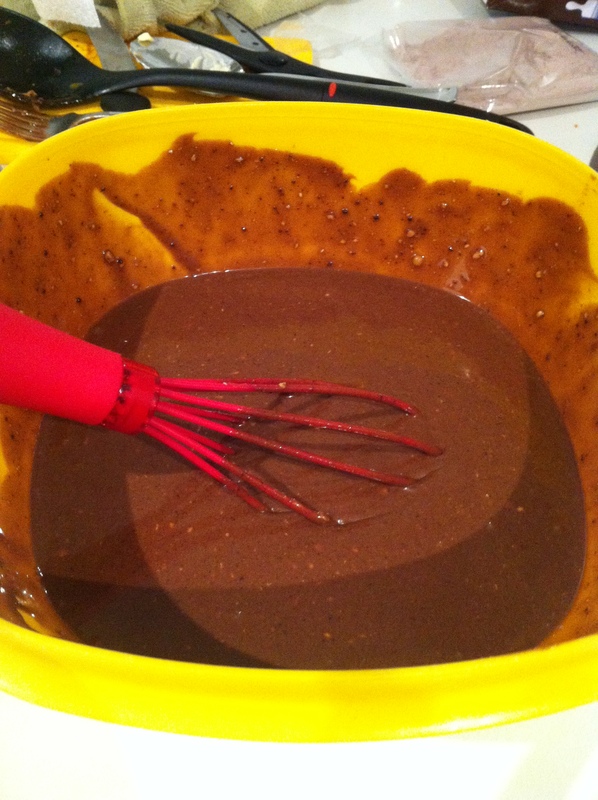 Make sure you don’t pour too much of the cake mix in because while in the microwave the cake rises quite a bit. You then put the mug into the microwave for a minute and 30 seconds the then the cake should be ready. Take it out test it with a toothpick or fork and if it still needs some time put it back in for 10-15 seconds. There you have it, a fast and yummy treat that doesn’t involve the oven. Calling all spice lovers! I have a chilli for you that will literally knock your socks off. If spice is your thing then this chilli and you will get along great. It is a pretty easy recipe it just takes time to strengthen the flavour. 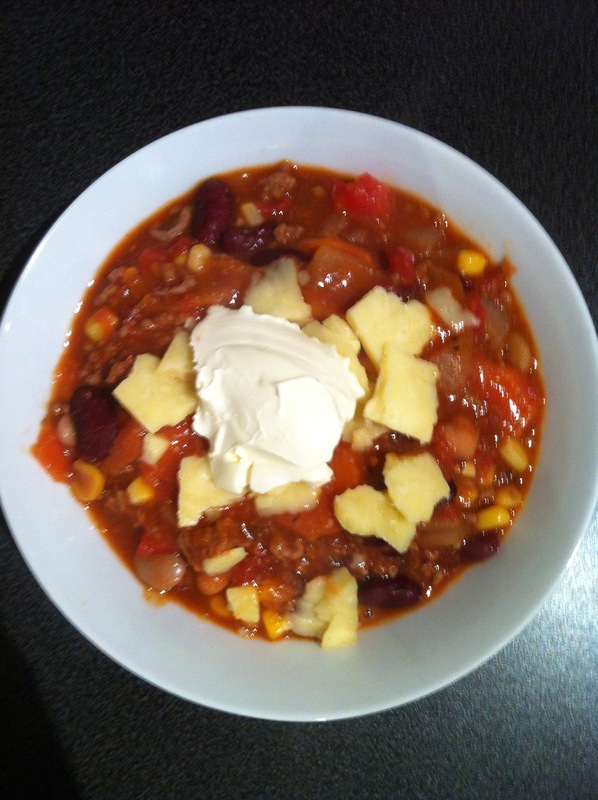 The best part about this chilli is that you will have leftovers for days and the taste gets better as the days go on. Start by cooking the ground beef and chopped up onion together in a large saucepan. Cook the meat thoroughly so it is completely brown (10-15 minutes). Cut all your vegetables into bite sized pieces then add all ingredients into pot except the celery, corn, sour cream and cheese. Cooking on medium heat, stir all the vegetables and spices together. Leave this to cook for about 45 minutes to an hour. Add the celery and corn into the pot during the last 10 minutes. Final steps are to dish the chilli into bowls, garnish with grated cheese and a dollop of sour cream then serve with your heated up sourdough bread and butter. You are now officially ready to enjoy your delicious spicy chilli!